Music surrounds us in our daily lives. We hear it on the radio on our way to school or work, on our phones, in restaurants; we hear music everywhere. Music holds the power to influence mood and behavior in people. Music impacts our lives in ways we don’t even realize. We all know that music is just there; we don’t realize how much music has been a part of our daily lives and how music helps shape who we are as a person. 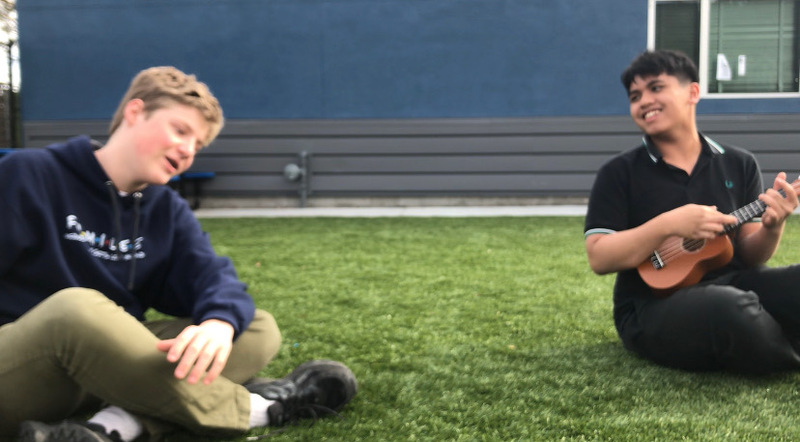 “Music is an outlet for me to display all my inner emotions; especially now in high school, playing music is a way to just relax and take a breather; it’s something I can confide in,” said Ethaniel Reyes, a sophomore in the Music Club at Summit Shasta. Elena Mannes, the author of “The Power of Music,” tracked the human relationship with music over the course of a life span. She says that scientists have found that music stimulates more parts of the brain than any other human function. That’s why she sees so much potential in music’s power to change the brain and affect the way it works. Many adolescents go to music as a way to escape reality. This is usually called music therapy, where music is used to relax the mind, energize the body and even help people better manage pain. “The lyrics in music have deep meaning, helping me get through stuff with depression, through hard times, and my inner battles,” said Matthew Goncalves, a senior at Summit Shasta. The purpose of music is a very broad question, whether it is from the artist’s perspective or from a fan of music. Music is simply therapy and an outlet for people to connect with their emotions and feelings; no matter how you’re feeling there is always a song that people will be able to relate to. Through music, everyone is able to have an escape from reality, a way to express their feelings through a healthy way by using music.